Vexazone is indicated for the treatment of type 2 diabetes mellitus inadequately controlled by diet and exercise: as monotherapy; as dual therapy to improve glycaemic control: in combination with metformin or sulfonylurea, in combination with insulin; as triple therapy to improve glycaemic control: in combination with metformin and sulfonylurea. 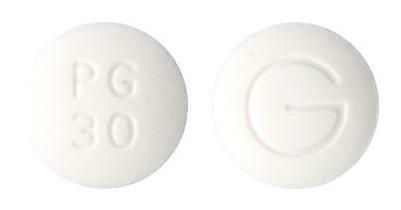 7mm normal convex, white tablet debossed with "PG" over 30 one side and "G" on the other side. 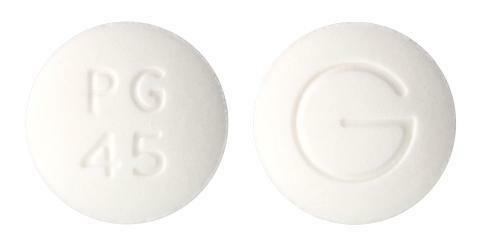 6mm normal convex, white tablet debossed with "PG" over 15 one side and "G" on the other side. 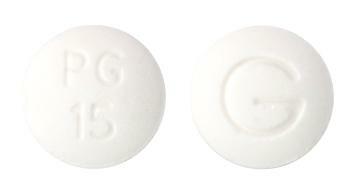 8.5mm normal convex, white tablet debossed with "PG" over 45 one side and "G" on the other side.